Entrepreneurs of foreigners in Italy are growing faster than those of Italians. Most enterprises belonging to the trade and construction sector. And now they represent 9.5% of the total active enterprises of Italy. In total, there are 575 thousand enterprises created by immigrants. 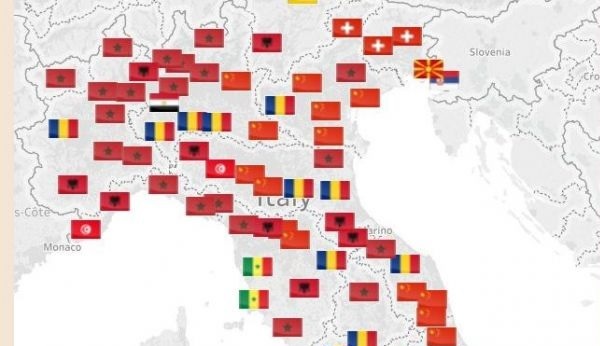 Referring to this study, which focuses on the nationality of businesses in each province of Italy, it turns out that Albanian-run businesses are more in number (compared to other Italian national emigrants) in 9 Italian provinces, according to Albanian television SCAN.